The one thing our new house doesn’t have is a fireplace. I’ve been contemplating putting in a faux mantel. I mean, why not? 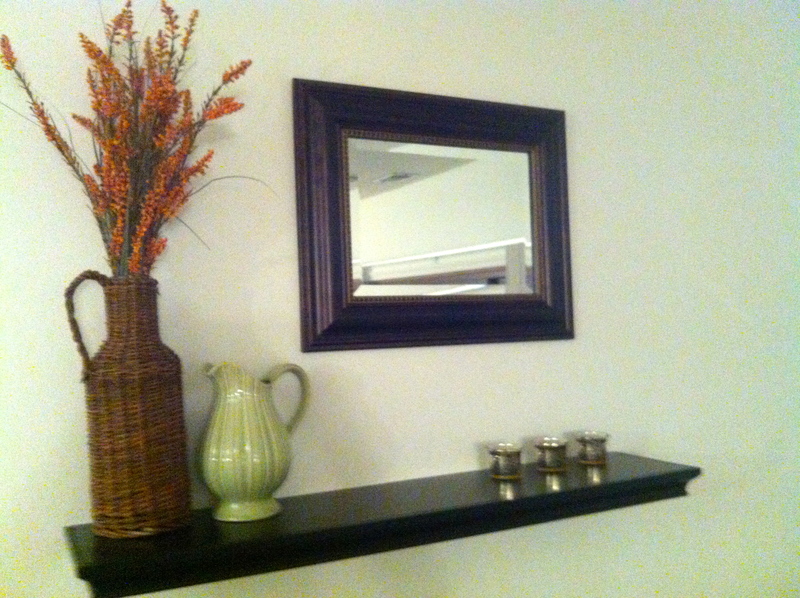 Yesterday with the help of my faux-carpenter husband, my faux-mantel dreams came true! 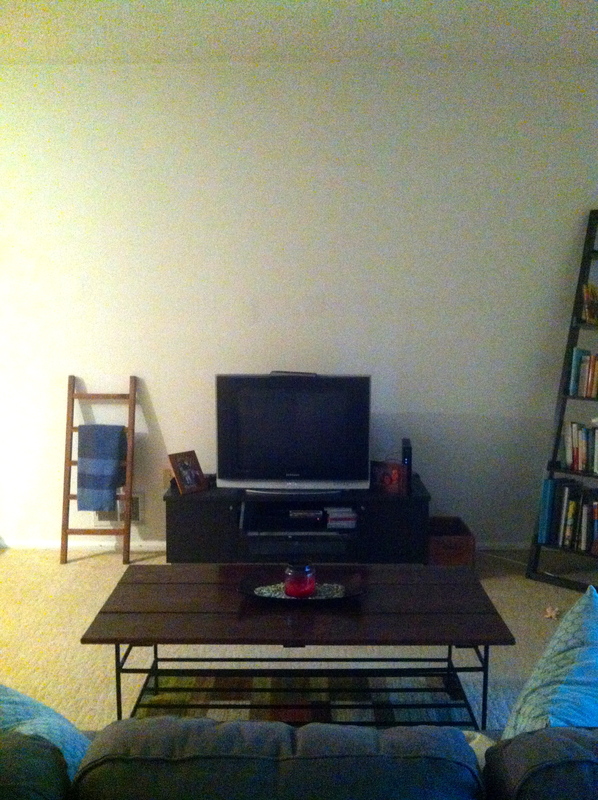 We’ve both been a little perturbed with the expansive wide-open spaces above the tv… insert mantel. We were able to get a great deal on a Threshold shelf from Target, and a few odds and ends from Michaels. I’m looking forward to decorating for every season. I still think we need a pumpkin or two up there for fall. 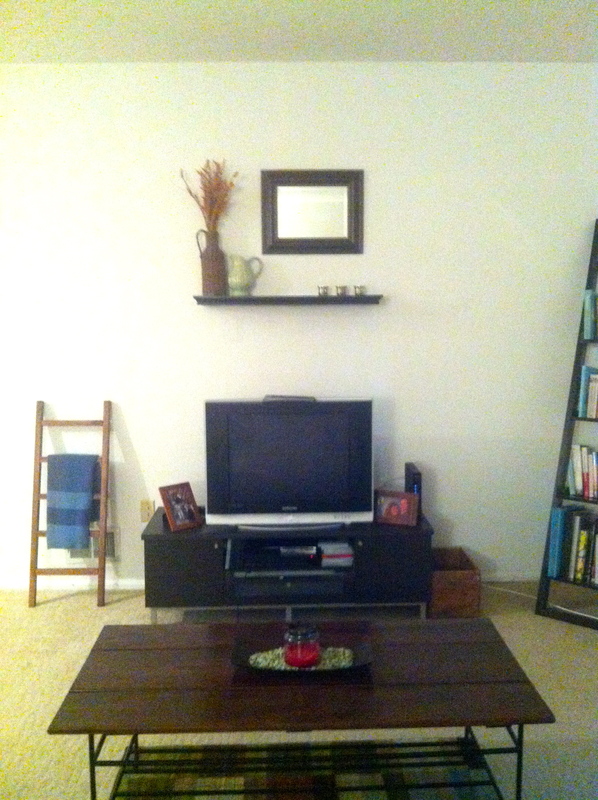 Categories: Good Home | Tags: decorating, DIY, faux mantel, Fireplace mantel, living room | Permalink.